Scott has advised hundreds of clients in family law matters, including adoptions, custody and visitation disputes, child support, and divorce. 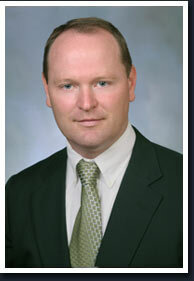 Scott has practiced family law in California, Virginia, Maryland, Kansas and Missouri. While a law clerk in Montana, he assisted Judge Buyske in challenging national mandates regarding the modification of child support orders. The challenge was eventually upheld by the Montana Supreme Court and led to a national change in the way state child support enforcement divisions modified child support orders. Scott has the experience to realize that many family law issues have more to do with emotional than legal issues. The use of the legal system to solve emotional issues is both ineffective and extremely costly. Scott attempts to help clients separate the emotional and legal issues so that the issues are resolved to the benefit of the client and not the attorneys. To this effect, Scott is pursuing certification in collaborative law – a growing trend where certified social workers are made part of the divorce process so that the divorcing couple can reach a fair, final and economical resolution to their marriage and are not burdened by costly and emotionally draining future legal battles.